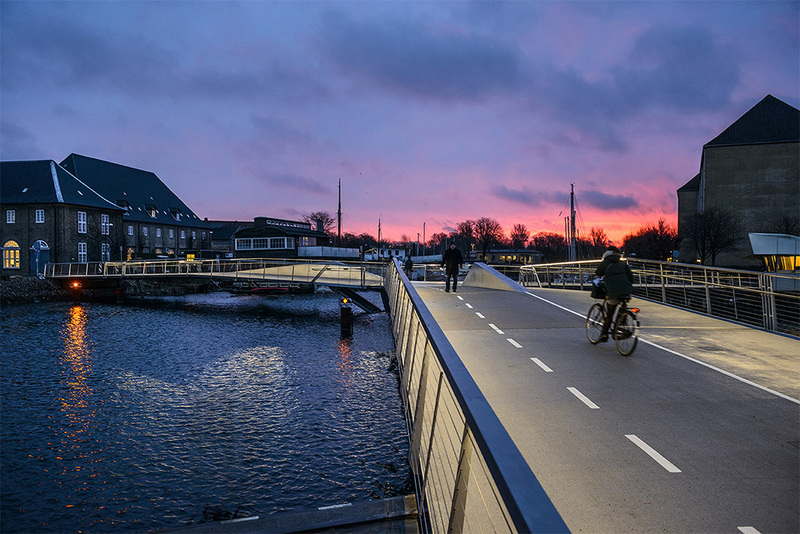 A bridge can elevate an urban environment, connecting people and places in a way that supports the flow of the city. 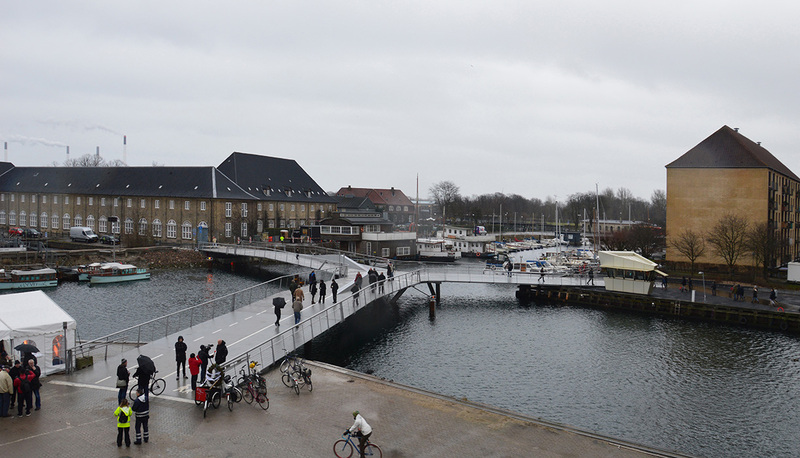 Back in 2009 Dietmar Feichtinger Architectes won a competition to design a Copenhagen bridge to link across Christiansshavns Kanal and Trangraven. After winning the competition the architecture practice began construction in 2012 and it was completed in 2015. The bridge is formed of three prongs to connect three different banks. Fixed to a common platform, two of the connections can move interdependently to allow sailboats to pass. When both sections, or wings, are open, the bridge takes the shape of a butterfly, which is where its name originated. The tri-linear bridge spans the canal and meets above the water's surface. A single-web continuous T-beam extends over the entire bridge and is built of a trapezoidal to protect it from corrosion. The bridge deck is made from an orthogonal anisotropic plate construction with a total surface area of 26sq m. In the moveable section the two individual wings do not require a counterweight. Once open, the width for boats to pass is 15m, while the length from the pivot point to the tip of the flap is 23.3m. 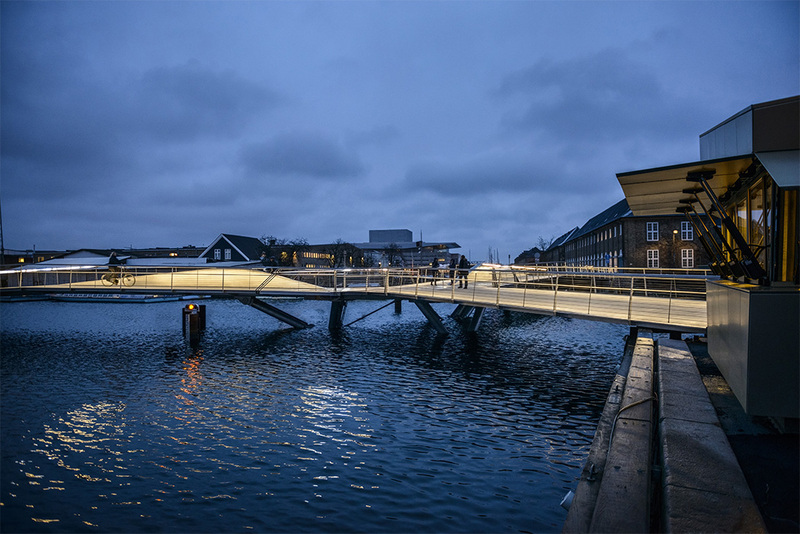 The bridge reached a total cost of 4.7m Euros (approximately 3.7m British pounds).